PASADENA -- In what has become one of the largest early-season invites in the Southern Section since its inception in 2014, the Cool Breeze Invitational has become a nice tune-up that a lot of programs use to kick off their season. With Claremont head coach, Bill Reeves as the meet director, this will be the third season the event is hosted at Brookside Country Club, just outside the Rose Bowl in Pasadena. 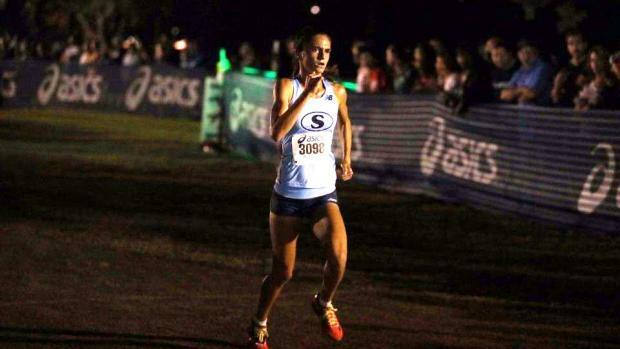 With over 80 schools and almost 4,000 athletes entered, the event begins at 4 pm while the highly anticipated Seeded Races begin under the lights at 9:14 pm. In avoiding the predicted 90-plus degree daytime temperatures, the fastest teams and individuals will be able to take advantage of the fast course. Reeves made some slight adjustments to the course, omitting two 180 degrees turns and converting three turns, making them wider. As he anticipates a much faster course this season, the plan is to have two separate seeded races: One that features the top Division I and II talents, and the other representing Divisions III, IV and V.
When glancing back at our Southern Section preseason forecasts, a slew of familiar teams appear. Starting with the girls. 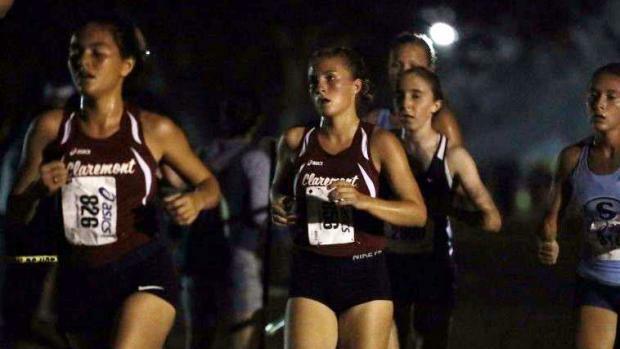 Meet host Claremont, opens its season ranked No. 8 in the nation in the Milesplit 50. They will be led by the top returner in Sydney Hwang. Two other top squads in the Division II rear view mirror are Serrano and Saugus. This is the season opener for Serrano but the third competition in eight days for Saugus. Also included with the best in Division II, Canyon of Anaheim will open its season, featuring three freshmen in their scoring lineup. The top squads from the Division I ranks include Redondo Union, Santiago and Tesoro. Top-ranked Palos Verdes and Oak Park are two of the best in our statewide Division 3 projections, while Agoura and South Torrance will also be competing. Representing Division IV, Bishop Amat and La Canada are projected to qualify for the state meet once again while Maranatha is looking to also qualify come November. Finally, St. Margaret's and Flintridge Prep were both featured in the top tier in our preseason SS-Division V previews as this will be an early season glance at two of the best in the state for Division 5. In what became a preview of the 2017 Division II finals, Claremont held off Saugus, 111-118. Serrano finished 3rd as a team, just behind those two with 124 points. Individually, the field is loaded with some of California's best girls. The Oak Park duo of Sylvia Cruz-Albrecht and Sarah Shulze will open up their seasons here. Coming off great track seasons, they are two of the top three returners from last year's Division 3 state meet. Three of California's best sophomores will toe the line, as Simi Valley's Jill Walker placed 8th a year ago here with Chino Hills' Jacqueline Duarte right behind her. Walker debuted last week with an impressive effort at the Fastback Shootout along with Colony's Amber Rios. Walker took 9th place at last year's Division II state finals with Rios taking 11th. Meanwhile, Duarte was also a state meet qualifier for Division I.
Claremont's Hwang was 3rd here a year ago, just ahead of Saugus' Jacqueline Cascione, who also returns. Cascione should be joined up front with freshman teammate, Bella Duarte. Serrano's Maribel Aguilar was 11th in the Seeded race a year ago while teammate and freshman, Tiani Goeson will be right with her. Redondo's Peyton Heiden will lead her squad as Palos Verdes' Savannah Scriven has been sharp thus far this season. In the Seeded Boys race, four of our five projected divisional champs in the Southern Section are competing. 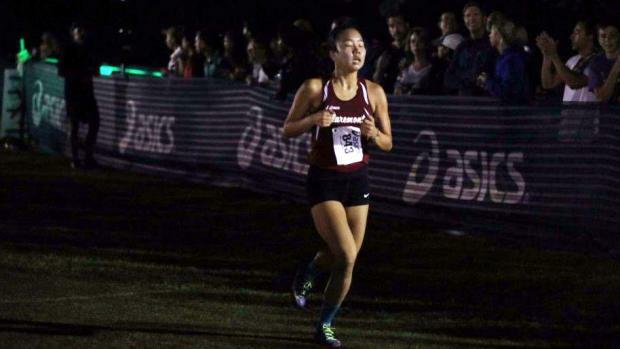 Claremont is one of the few programs in the United States that have both teams ranked in the Milesplit 50. 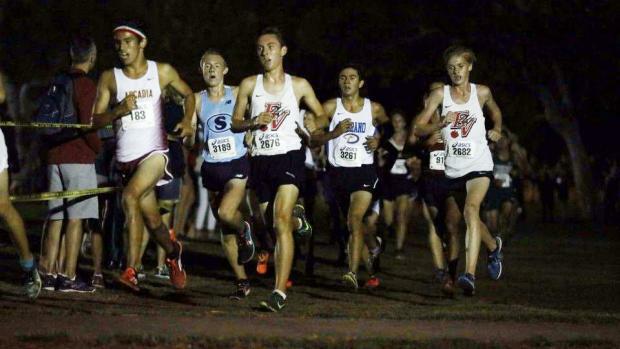 The Wolfpack boys are ranked 21st in the country and top-seeded in Division II. Several other Division II powers that were highlighted in our preview will be chasing them. Canyon of Canyon Country is entered while the boys from Saugus, Woodbridge, Simi Valley and Redlands East Valley make this a nice preview with some of the division's best. All of those squads are vying for a state meet spot this November. Looking to pull the upset, Trabuco Hills and Tesoro are two top-ranked teams representing Division I while Valencia is just outside the top 10 in our projections. ML King's boys are competing as they displayed some nice offseason improvement last weekend. Palos Verdes, one of our most highly touted squads in the Southern Section and top-ranked in Division III, will come out flying and going after Claremont. Also competing in Division III, Indio, and Oak Park are projected to be a state meet qualifier while a vastly improved Agoura team will match up with Cathedral City. Defending division and state champions for Division IV, Cathedral will jump in with the larger schools in the Seeded race. Finally, like the girls, Flintridge Prep and St. Margaret's will provide us with an early season glimpse of their talent assembled here in 2018. 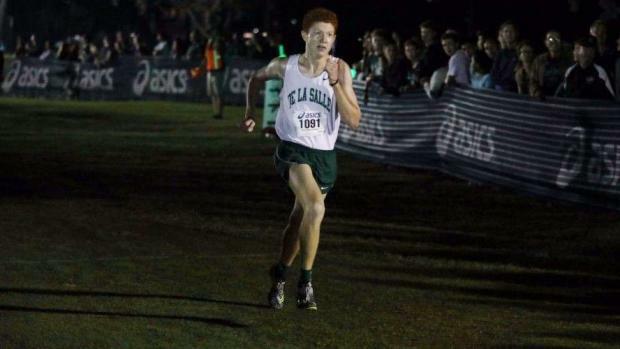 Connor Livingston of De La Salle (NC) makes the trip south from Concord to take on some of the best in the Southern Section. Coming in from his 6th place finish (9:03.75) at the state meet in the 3200, Livingston was the top underclassman here a year ago with his 8th place finish. Meanwhile, Ethan Danforth took 4th in that same state meet 3200 (9:00.30) and was the Division II state meet runner-up a year ago. Josh O'Neill is looking to lead his Trabuco Hills' group back to the state meet for the first time since 2012. Bryson Crites leads Tesoro as we are anticipating Jacob Aries and Daniel White lining up along with Crites in the same uniform. Wade Nygren and William Teets will be up front, representing Palos Verdes. Cathedral's Tyriq Granillo was the top sophomore at the 2017 Cool Breeze Invite with his 11th place finish in the Seeded race. Also, watch for Crescenta Valley's Manan Vats and Redlands East Valley's Matthew Casillas as both were amongst the top five underclassmen here a year ago.